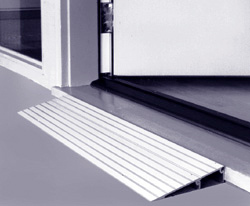 The Threshold Ramp 5 wheelchair ramp from AmeriGlide can help you increase your mobility and traverse thresholds, uneven surfaces and other minor obstacles. 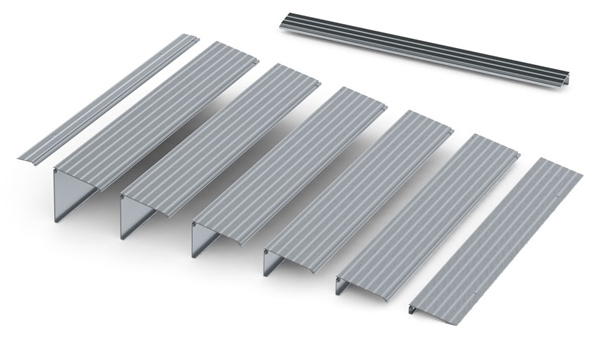 This practical and affordable modular ramp is built using the highest quality, non-corrosive aluminum, which will guarantee that your ramp will withstand the elements and repetitive use and last for years to come. In addition, this model is can be temporarily or permanently installed in no time at all. Don't settle for limited accessibility; get your wheelchair ramp today!